Want to know how one mortgage company gets a 1,316% increase in leads and a 546% increase in web traffic, along with a conversion rate increase of 35%? 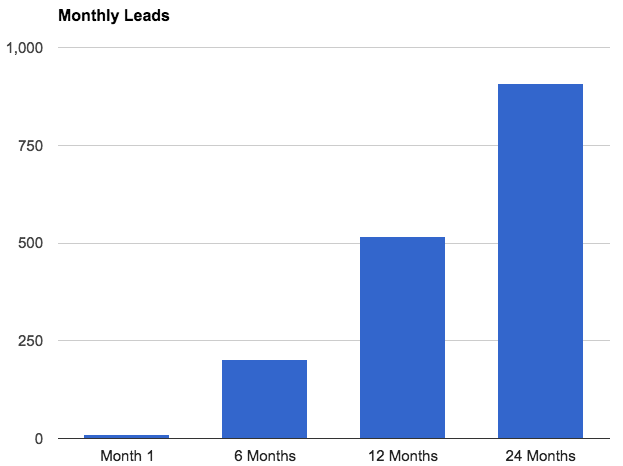 After one year of Inbound Marketing, this same company was generating more than 50x more leads, saw almost 4x more traffic to their site, then saw a 5% increase in sales after year 2. Want to know how a medical equipment company, on the verge of downsizing and looking at the prospect of laying off hard-working employees, turned their failing business into a profitable organization by simply adopting Inbound? Find out what both these companies implemented into their marketing efforts to take their organizations, not just to a new level, but also to a completely new dimension of success. AmeriFirst Home Mortgage had a traditional marketing strategy that revolved around outbound methods, like direct mail and phonebook ads. However, they knew they were leaving money on the table without a strong online marketing strategy, and they had no way to measure results for these efforts. Their main challenge was taking their successful, relationship-based way of doing business and marrying that concept with nontraditional marketing methods, such as inbound marketing. They had a website for more than a decade, but were only performing at the level of an online brochure. And websites that are simply online brochures just don't work anymore. They also faced another challenge: they didn’t know how to make their website act as an online salesperson to help build the client-focused relationship they are known for. In other words, they didn’t know how to effectively turn their website visitors into qualified leads. Although they couldn’t necessarily profile their website visitors, they suspected that a large volume of their web traffic came from weak leads; people who weren’t ready to buy a home. To capture the right audience and stay in the mind of early home buyers, they needed to create a system of education and lead nurturing. Dan was comfortable with the idea of creating content, but marketing was new to him and AmeriFirst needed marketing help and the right tools to get started. HubSpot’s training and service offerings played a big role in his decision to implement HubSpot. "Our inbound marketing consultants have been phenomenal and pushed me to be a better marketer. I was a TV. newsperson and they've really taught me to be purposeful, analytical and experimental as a marketer." Dan and AmeriFirst began to implement HubSpots integrated tools for their calls-to-action (CTAs), email marketing, content marketing (or blog posts), landing pages, and social media interactions. Within two years they began to see improvement across all of their marketing metrics. Before going Inbound, AmeriFirst had trouble even measuring its website activity. 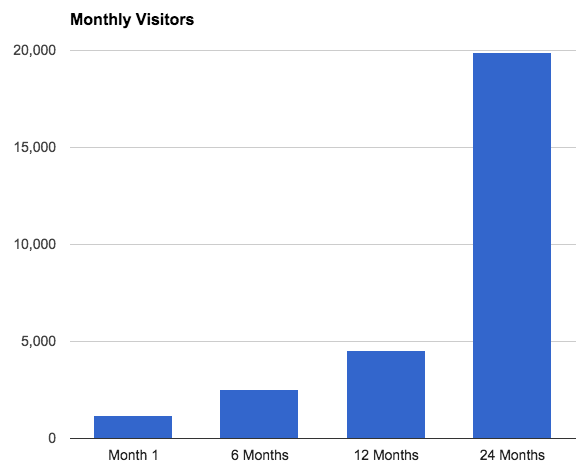 In the first month of implementing this new form of marketing, they had 1,200 website visitors. Continuing with these inbound tactics, their monthly traffic was 2.1x higher after 6 months, 3.8x higher after 1 year, and 16.6x higher after 2 years. They have seen as many as 60,000 website visitors in particularly strong months! AmeriFirst also increased the number of monthly leads from its website by 20.1x after 6 months of using Inbound Marketing as their main marketing strategy, 51.7x after 1 year, and 90.7x after 2 years. Along with this growth, AmeriFirst has benefited from advertising cost savings. “With the HubSpot software, we’ve been able to cut spending on advertising dramatically. I’ve helped branches cut their budgets way back on spending like phonebook advertising, in lieu of getting found in search engines." Dan goes on to say, "Adding HubSpot has been just icing on the cake of bringing in more leads that we didn't have before and being able to actually measure them." It may also be worthy to note that Dan leads the marketing department of AmeriFirst by himself excluding his most recent team member who is a video specialist. Block Imaging is a provider of medical imaging parts, accessories and services, and they use inbound marketing to attract customers and capture leads. In 2011, Krista Kotrla, CMO of Block Imaging, had a major marketing problem which could have led to an organizational quick fix of downsizing or letting go of hard working employees. Doing nothing was not option. However, she did not want to go the quick fix way which would only cause more problems for the long-term, so she had others things in mind. She partnered with Marcus Sheridan to present her company with a content marketing workshop, which caused buy-in across the board. This was the secret sauce that drove their ultimate success as everyone in the company is on board. Our Inbound Marketing Artist, Ryan Scott, has worked with Marcus Sheridan in the past and can attest to his content marketing prowess. He's not only seen a ton of success in content marketing, but he's a motivating speaker that can vividly paint the picture of the effectiveness of inbound marketing. You can find Marcus at his blog, The Sales Lion. Last summer we were in the midst of what was turning out to be a not great sales year and morale was low. I knew there were things that we could do to change our direction, but it meant involving everybody and getting people excited that we were going to aggressively pursue growth through content marketing. The more that I learned from seeing how businesses were starting to utilize social media for business purposes, I was just fascinated to think that those could be powerful mediums to reach more people. Knowing the expertise that our team possessed, Block Imaging could be very effective at it if we just had a better way of making it easy for our employees to participate. Not just to give them the tools, but show them how to reach out to people and help them empower and educate buyers. We decided that if the company went all in together as a team instead of just a few people being responsible, we could get out ahead of the pack by leaps and bounds very quickly. Last summer we were planning a two-day company retreat and I pitched our management team about devoting the entire time to launching this new culture of content marketing (Inbound). We brought in Marcus Sheridan to lead the entire first day, where he not only explained content marketing but most importantly, helped our team catch the vision and enthusiastically buy-in to team participation. Day 2 was hands-on workshops and activities that helped everyone dive in and get their hands dirty practicing what we just learned from Marcus. We brainstormed blog titles, began developing personal brands by learning how to inject some personality into our content, as well as getting comfortable with video. The response was overwhelmingly positive. Since that initial workshop, the growth of the Block Imaging brand has been unbelievable, and their website traffic and sales from their online efforts continue to grow dramatically. Not only that, but their story has now been featured in many prominent marketing publications, one of which was Social Media Examiner. According to that article, Block Imaging's inbound marketing strategy has seen positive results or an increase in organic search traffic that has led to an overall increase in targeted lead acquisition and sales. They also credit a $70k sale to a single, specific blog post. When it comes to Block Imaging, it would be worthy to note that every employee at Block Imaging contributes in some way to the content creation of Block Imaging’s Inbound Marketing efforts unlike AmeriFirst who’s marketing department is only lead by Dan (and his new team member, the video specialist). Side Note: Not only has Kristin Koitra helped take Block Imaging to a whole dimension of success with Inbound Marketing, but she has also made a name for herself among marketers, and is now in high demand with a strong personal brand. Doing Inbound for your company will not only help the company, but it can also increase the demand for your personal brand in the industry as well. Why be satisfied reading success stories? Jump in today and adopt inbound for your company.